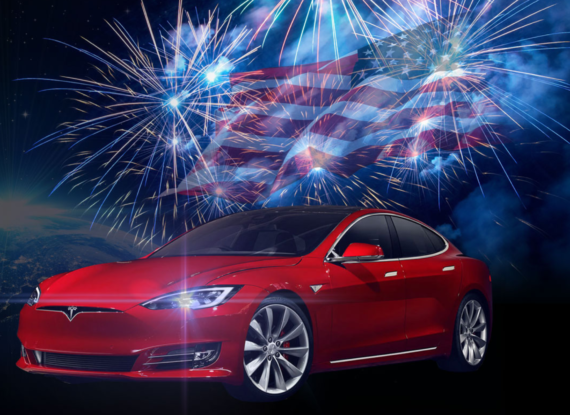 Tesla electric cars built in the United States help the US economy. Electric Volkswagens, BMWs, and Mercedes (Mercedess? Mercedeses? Mercedi?) built in Germany help boost the German economy. 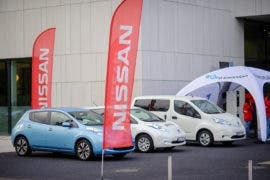 Electric Nissan LEAFs built in Japan help boost the Japanese economy. Actually, come on, we all realize as well that LEAFs built in the UK help the UK economy, LEAFs built in the US (Tennessee) help the US economy, and Mercedes EQs built in the US would boost the US economy, right? … Right? But that 20th century thinking misses why electric cars are really patriotic bulldogs of any country they are sold in. Furthermore, that simplistic approach to the economic potential of electric cars misses why electric cars should be seen as best friends of our troops and our troops’ families. 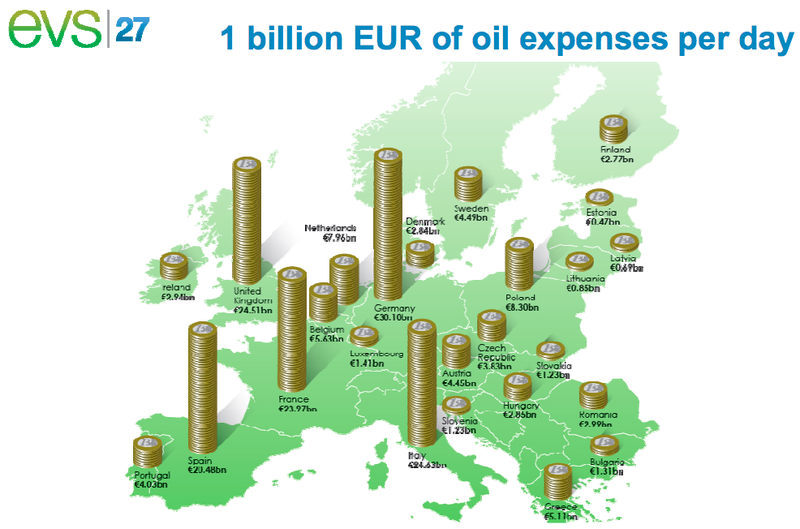 And that also ignores the simple fact that we send out billions and billions of dollars (or euros, as the chart above shows) in exchange for oil. How much money, how many lives, and how many families would the United States (or … pick your country) save if the nation electrified its transportation fleet? And for anyone who thinks “the United States could just produce all its oil needs itself,” you should check your water supply (it might be tainted). The US can’t provide all of its own oil needs not because of some pesky environmentalists (who don’t want their kids or your kids to die of cancer) … but because we can’t. It’s just not going to happen. Believing in energy independence purely through drilling, drilling, drilling (baby) is similar to believing in the tooth fairy. But there is an obvious solution to really create energy independence (while also massively cutting cancer rates, heart disease, and asthma) — go electric. Electricity is produced domestically. Cars like Tesla’s Model S, Model X, and Model3, Nissan’s LEAF, and Chevrolet’s Bolt & Volt are produced domestically. When you drive one of these electric cars, you can feel good that you are supporting US manufacturing, and you can feel good that you aren’t supporting dictators in unfriendly foreign countries. Electric cars are patriotic bulldogs. That’s all the more reason why Tesla sales bans are idiotic and shockingly undemocratic, of course. Now, you might think, “Hey, we have a big oil industry — why not support that too?” Frankly, even that doesn’t make sense. 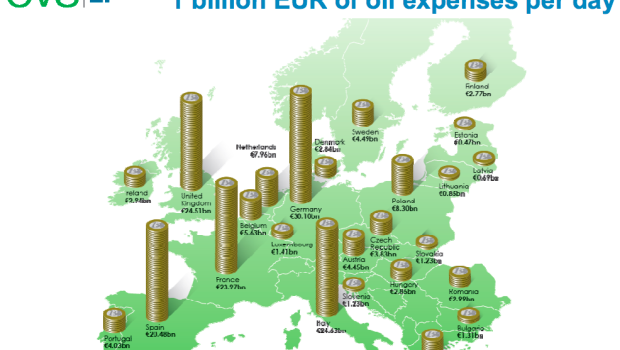 US oil companies can ship their oil abroad or domestically to earn money. They aren’t limiting production because of limited demand. Cutting domestic oil demand would more or less mean exporting more oil — feeding a trade surplus rather than a trade deficit. The US oil companies and their employees still make money, but so do power plant developers and utilities (and perhaps US solar panel manufacturers if you power your electric car with rooftop solar panels). Is there a more patriotic consumer decision you can make? Is there a consumer decision that can more powerfully boost national security? Buying Trump ties produced in China or Ivanka Trump’s sketchy China-produced clothing? Not so much.